Balloon Decoration is one of the fastest growing decoration ideas that make a party ambiance attractive in a cost-effective manner. Well, as a balloon decorator, you need to take care of few things before you start decorating your party venue using your creative ideas. The are some tips followed by birthday party organisers in Bangalore. Want to know what things you should take care of!!!. If yes, you are here at the right platform. Appropriate usage of tools. Make sure you carry a pair of scissors instead of a knife because knife at times can cut your fingers and create problems in inflation. Be Alert. Don’t just blindly start with the decoration. Make sure floor is dry enough so that you fall down eventually. If you are decorating a party hall, make sure there is a proper sign of dry or wet floor so that you can start yourself on the dry floor. This would prevent you from accidental falling on the floor. Carry your water bottle along. Being a balloon decorator, you would be asked to be present at the venue many hours before your guests arrive. So, there are chances that you don’t even find water at the venue. It is better to carry your water bottle so that you don’t feel thirsty. Don’t forget to carry your ladder. When you get an order to decorate party hall, make sure you don’t forget to carry your ladder. There may be circumstances where you would be asked to decorate the ceilings with balloons, drapes, clothes, or any other decorative material. So, it is better to carry a ladder that can help you to climb to the places that are otherwise hard to reach. If you are decorating the party hall with a hydrogen balloon, take precautions. Hydrogen gas comes cheaper than Helium one. Many balloon decorators prefer hydrogen gas for inflating balloons then helium gas because of the price and light nature of this gas. But believe us hydrogen is a flammable gas so keep your balloons away from the flammable areas. Protect yourself from open wires and any other kind of Electrical damages. If you are decorating a party hall, and you see some open wires or electrical damages, try and inform the party organizers or the managers to immediately rectify the issue so that you can save yourself and other party attendees from electric shocks. Respecting time. Time is money. Decoration must be completed before the guest’s starts arriving so it becomes your prime responsibility to arrive at the party hall well before the guests come. 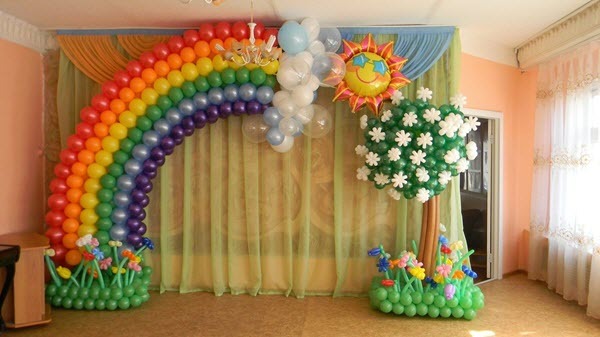 Above are the 7 safety tips that you must consider for balloon decoration.